The simply plain lobster roll at Flo’s. ‘Tis the season for the lobster roll — and I’ve started with my personal favorite from Flo’s Clam Shack in Middletown (across from Newport’s First Beach). 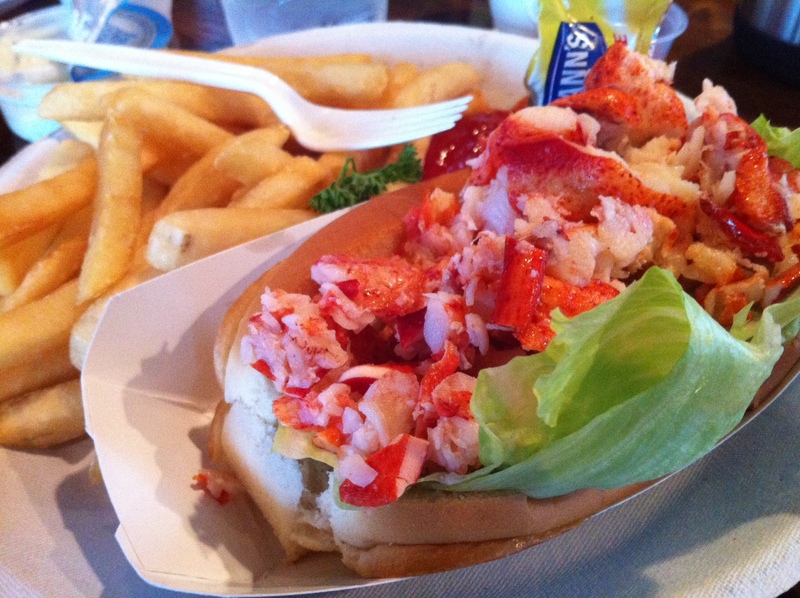 It’s no frills — just chunks of plain lobster meat in a hot dog bun with iceberg lettuce. They serve the Hellmann’s on the side, which is perfect for those (like me) who’d rather go without. And don’t forget to throw in a side of clam cakes — their fried cornmeal balls with clam mixed in. Of course, this meal makes more sense when following hours of swimming or surfing, but I’ll leave that up to you. Do they really make their Clam Cakes using a cornmeal batter?